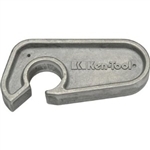 Tyrego.ie stock a range of tyre levers for cars, trucks and buses including Ken Tool tyre tools at great prices. Please browse our selection of products below or contact us for more information. 500mm galvanized and forged steel tyre lever. Does not bend like the cheap alternatives!!!!! !